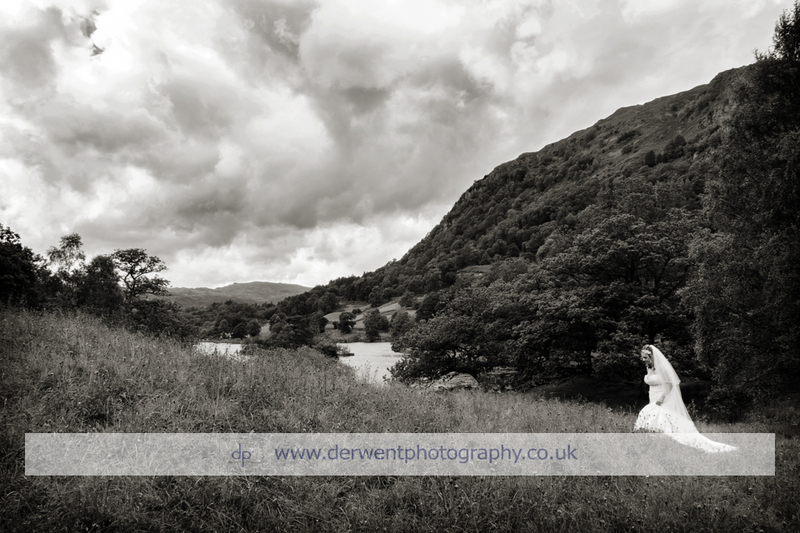 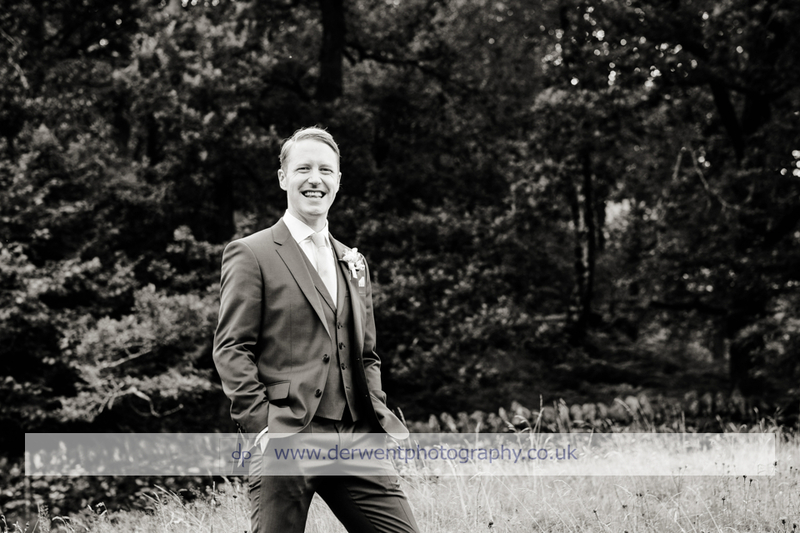 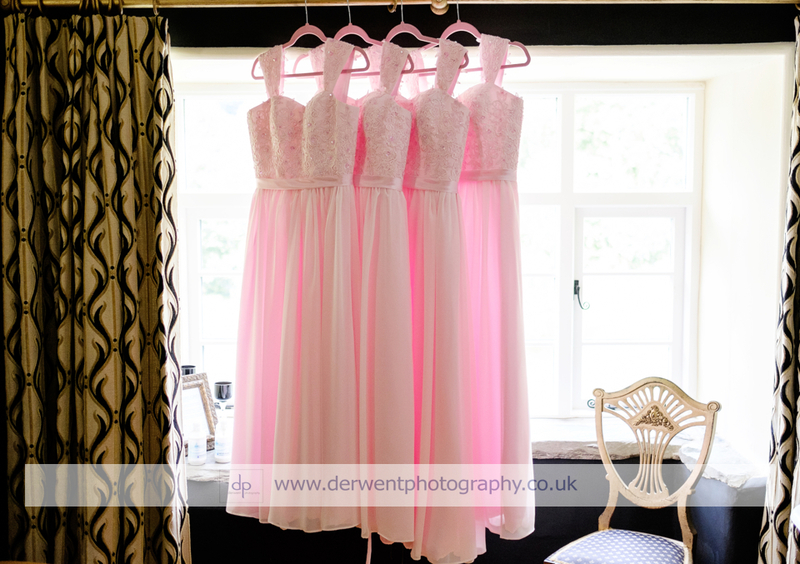 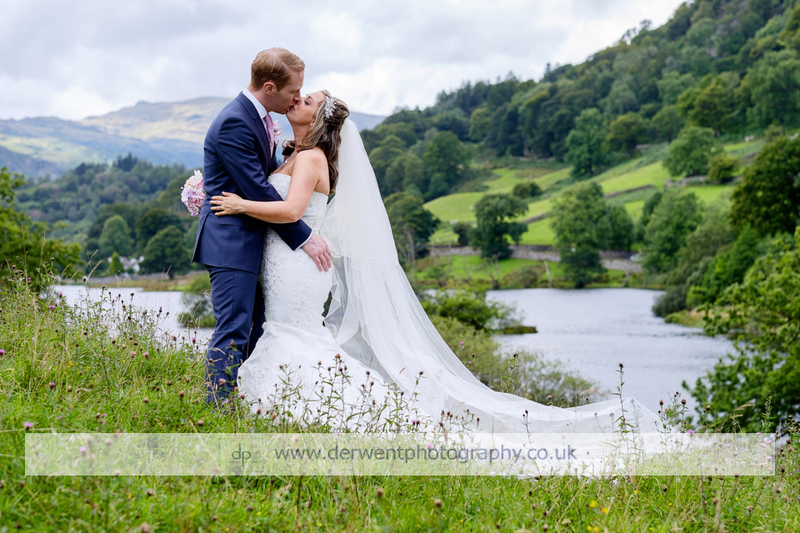 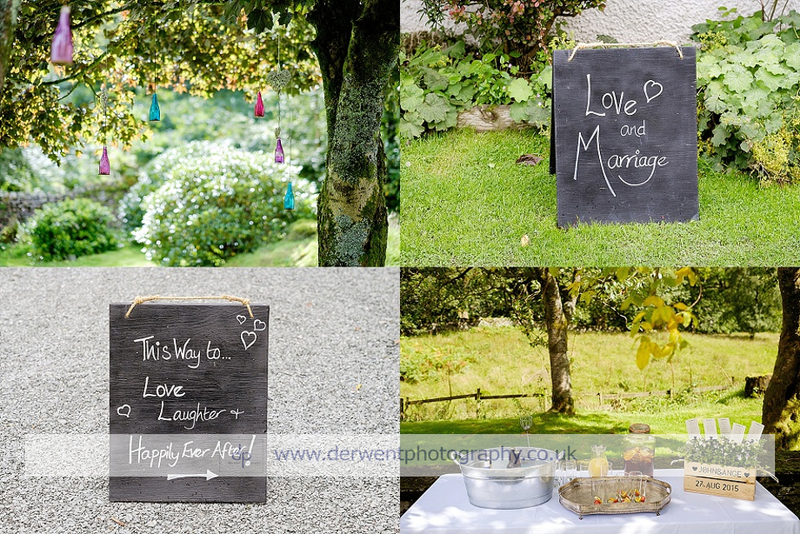 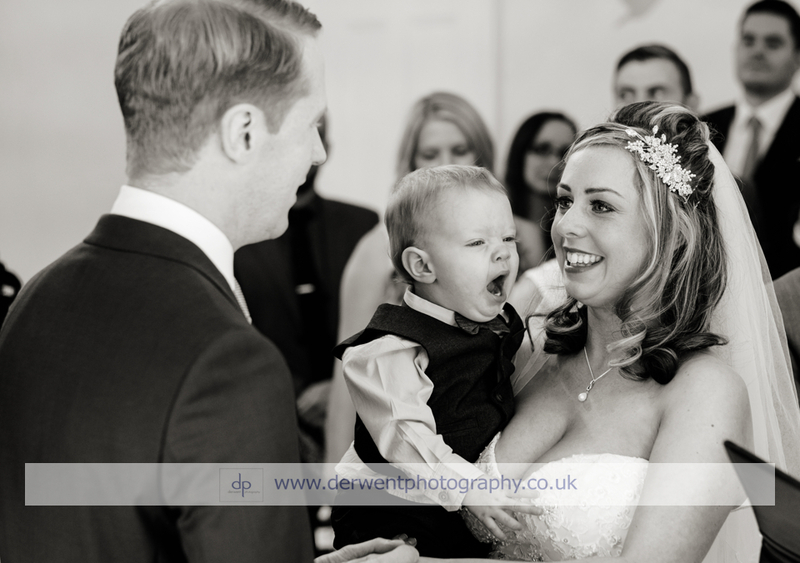 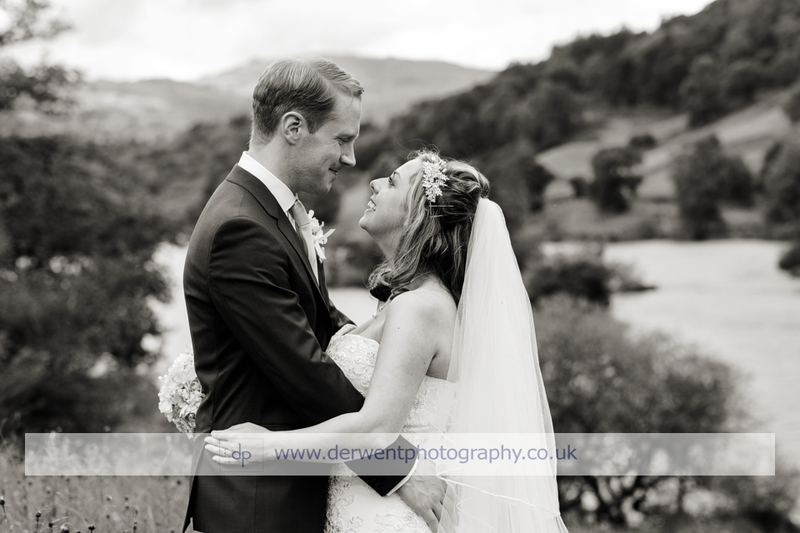 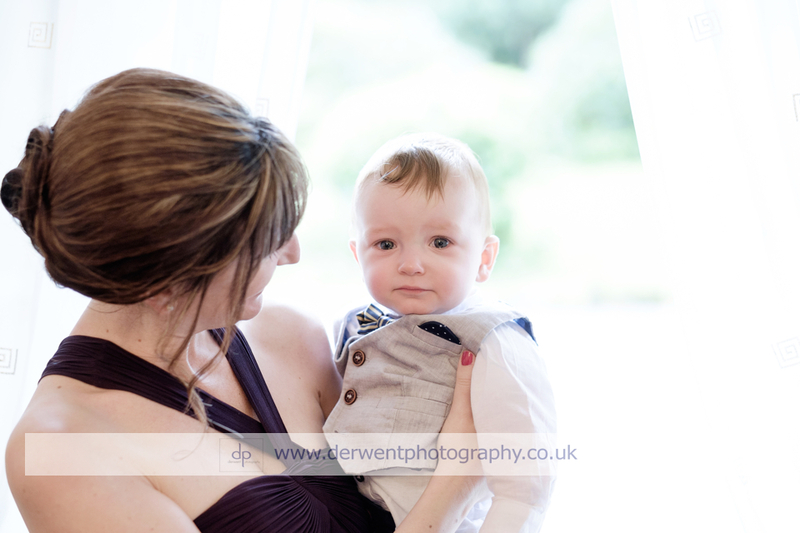 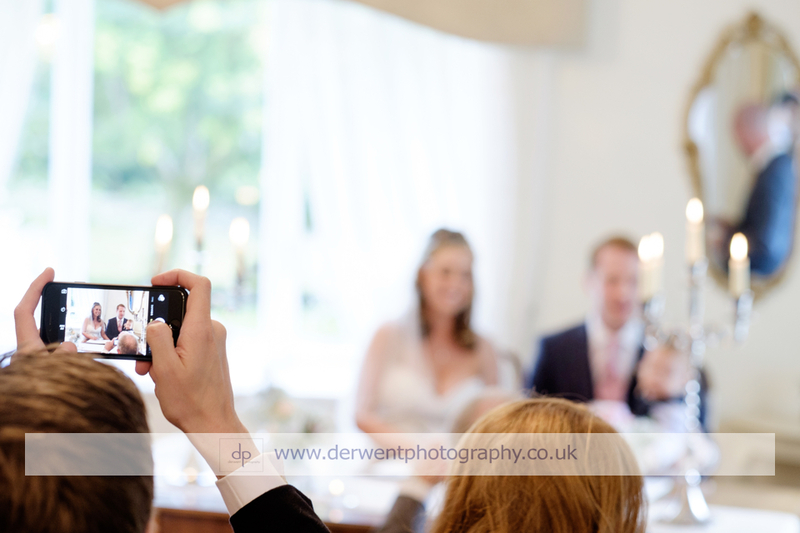 Angela and John chose to hold their wedding at Cote How on the shores of Rydal Water. 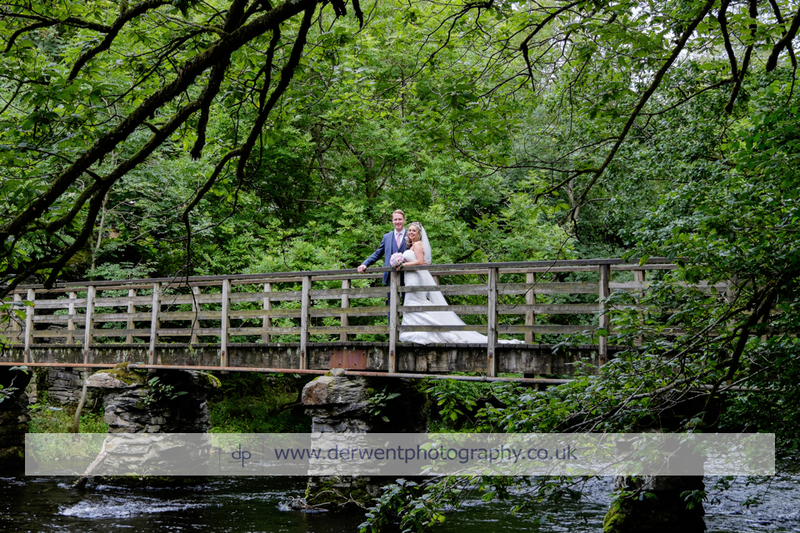 This was a new venue for me and I was blown away by both the beauty of the location and how well the team there catered for the wedding party. 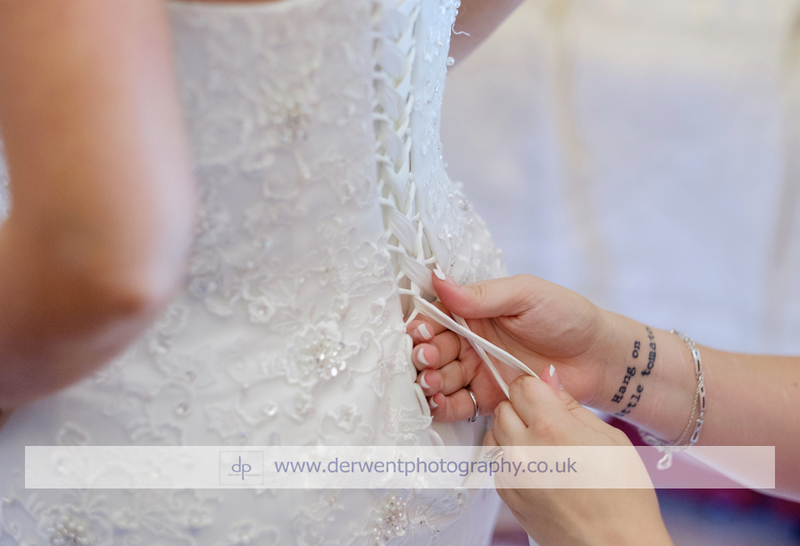 Owner Caroline used to be a wedding dress designer and had her own boutique in Northamptonshire, so she has a great deal of experience in the wedding trade. 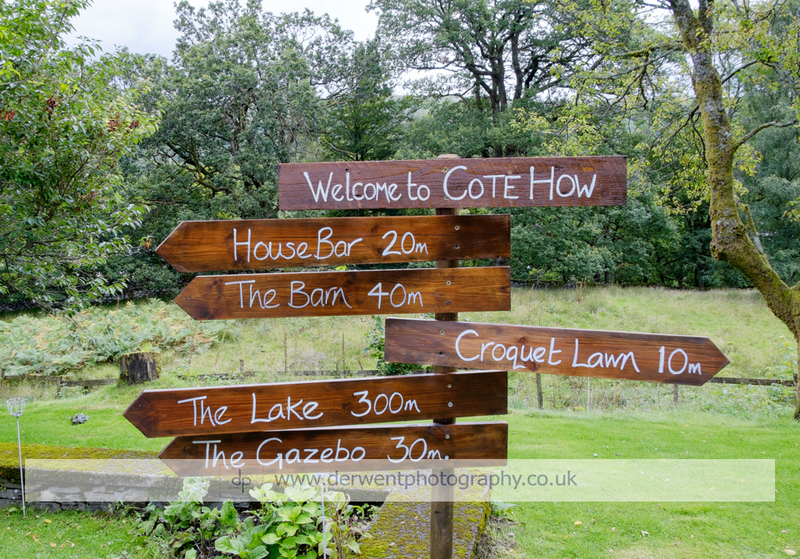 She opened Cote How as a wedding venue in early 2014 and has received numerous awards including ‘Five stars for the Lake District’s only environmentally gold accommodation’, awarded by Visit Britain in November 2014. 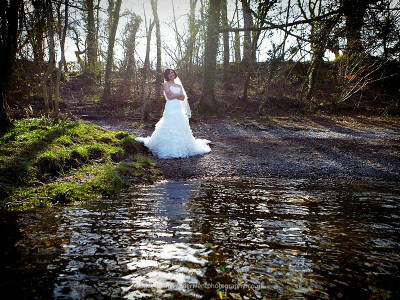 Not only does she care about providing unique and personal weddings, she is a massive supporter of environmentally friendliness and community welfare, she sources only local produce and eco-friendly services. 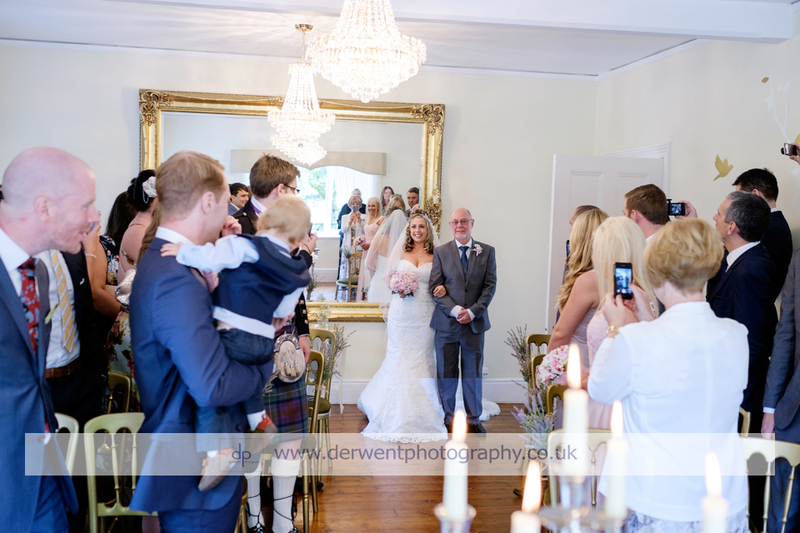 Angela and John’s ceremony was held in the Fairfield Room of the house, styled with gilded mirrors and eco-friendly artificial flowers. 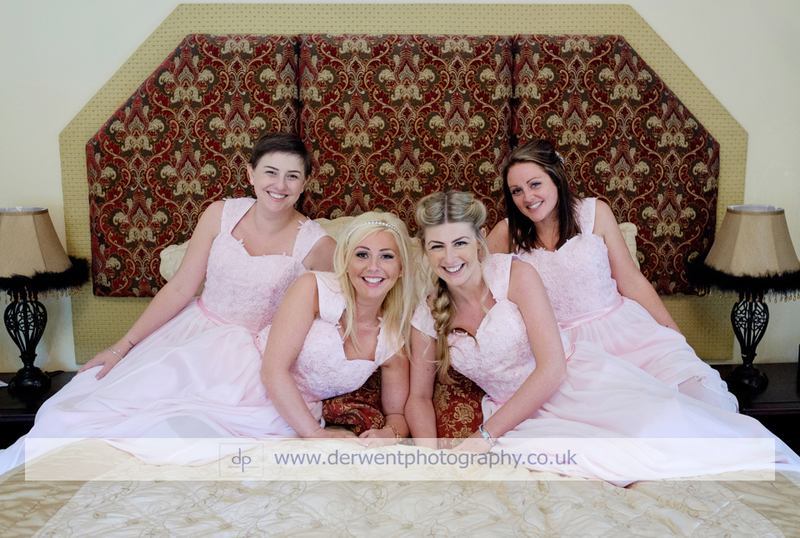 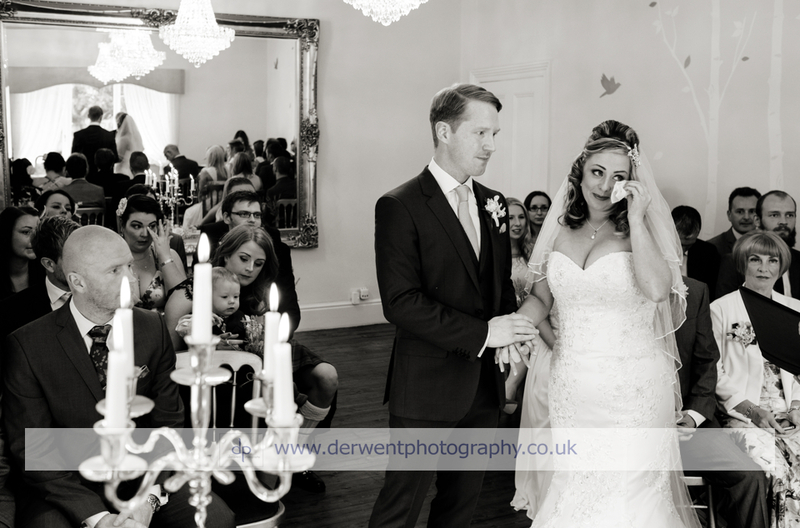 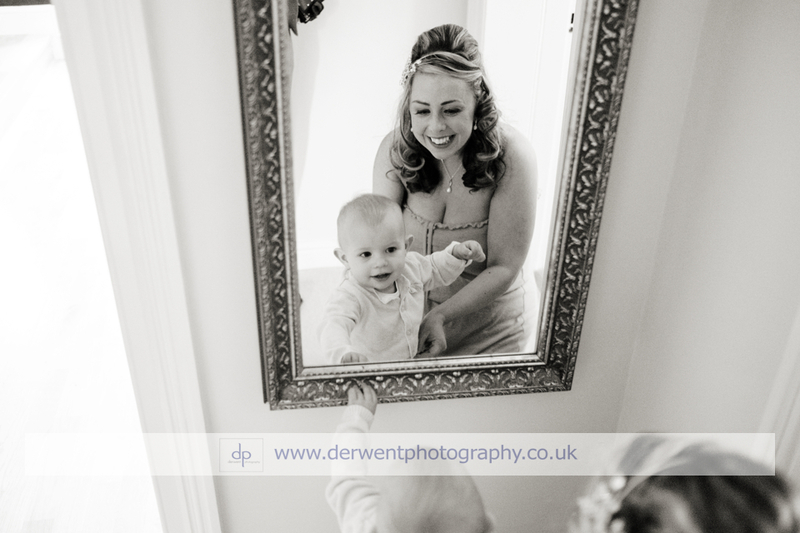 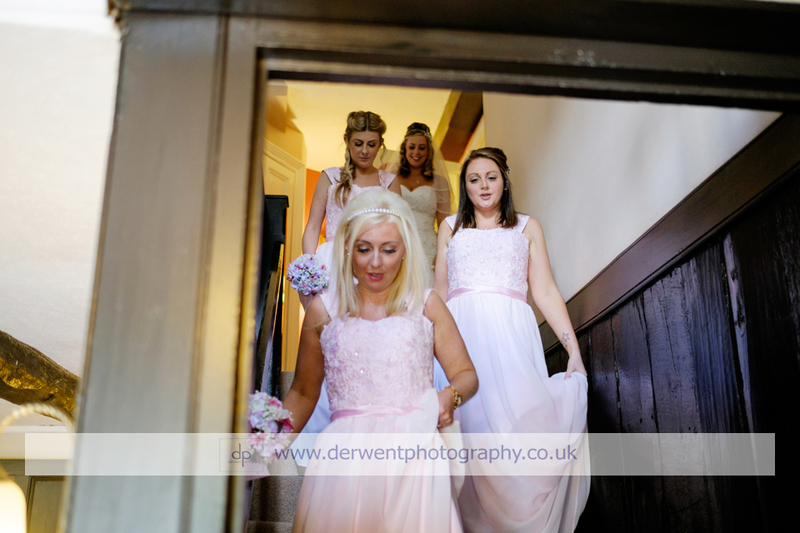 Angela looked stunning, with her hair and make-up beautifully done by her sister Tracey and bridesmaid Jen. 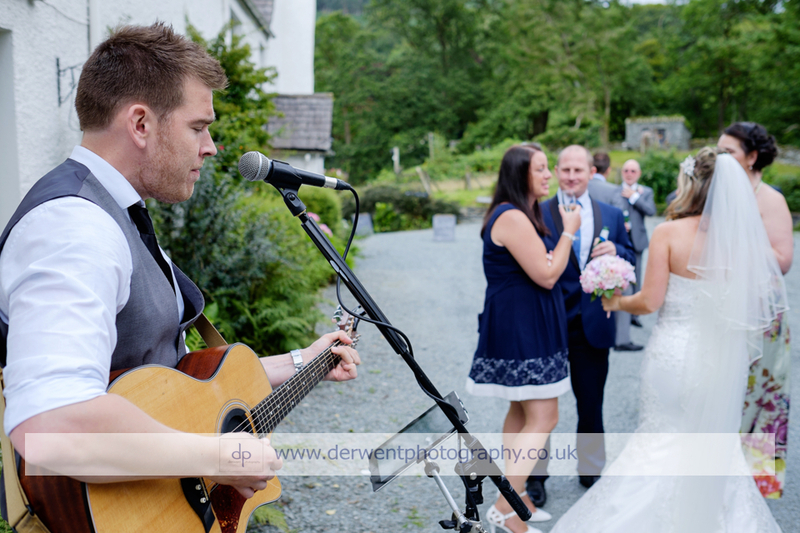 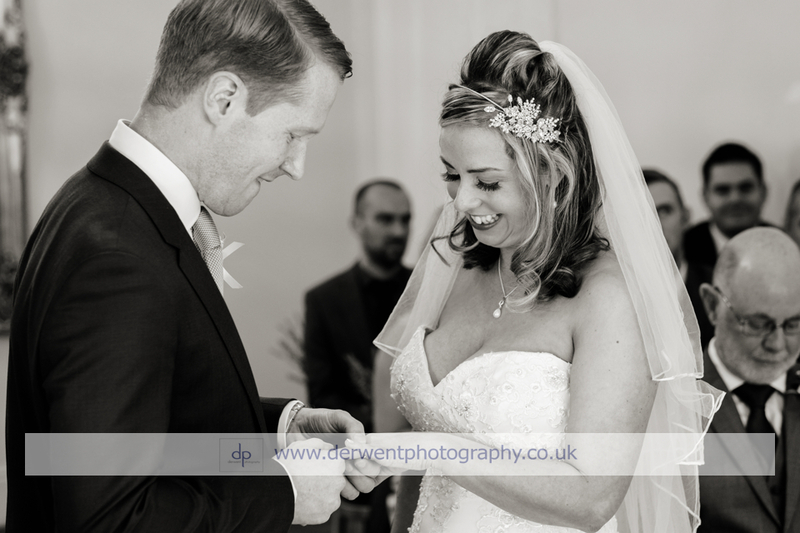 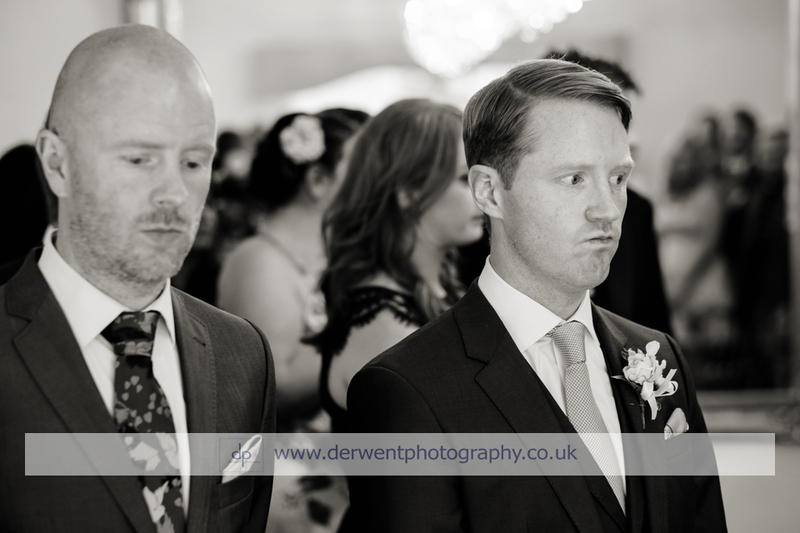 Following the ceremony, guests and the newlyweds enjoyed drinks and nibbles, to the accompaniment of Alex Birtwell, a Lancashire based wedding entertainment specialist with a very impressive repertoire of songs. 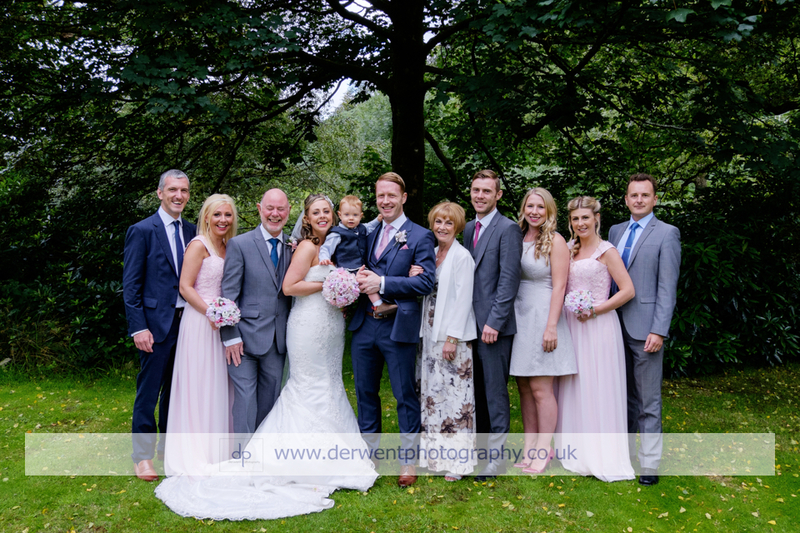 I took the group shots whilst this was happening, as everyone was there and it was very smooth and quick… I like to get them out of the way so that everyone can go and enjoy themselves! 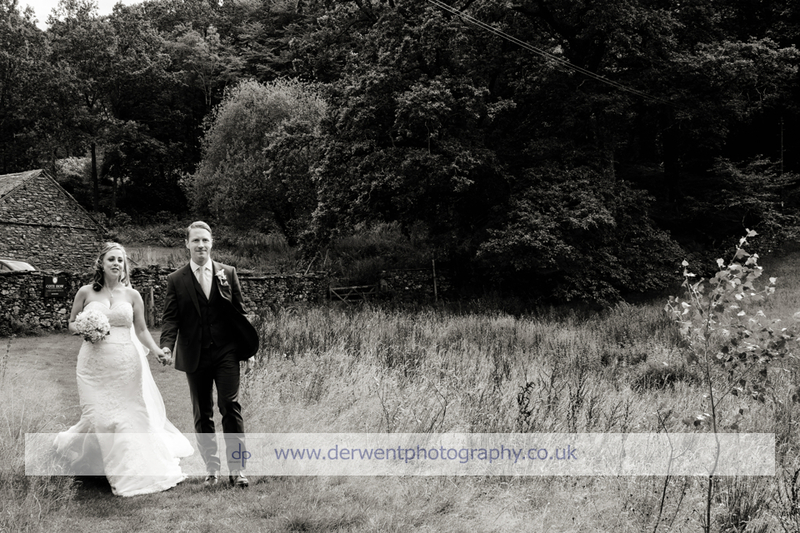 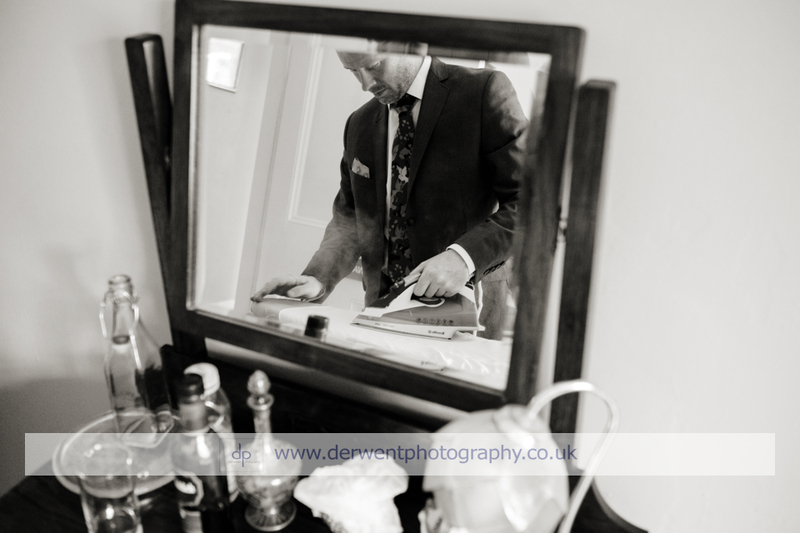 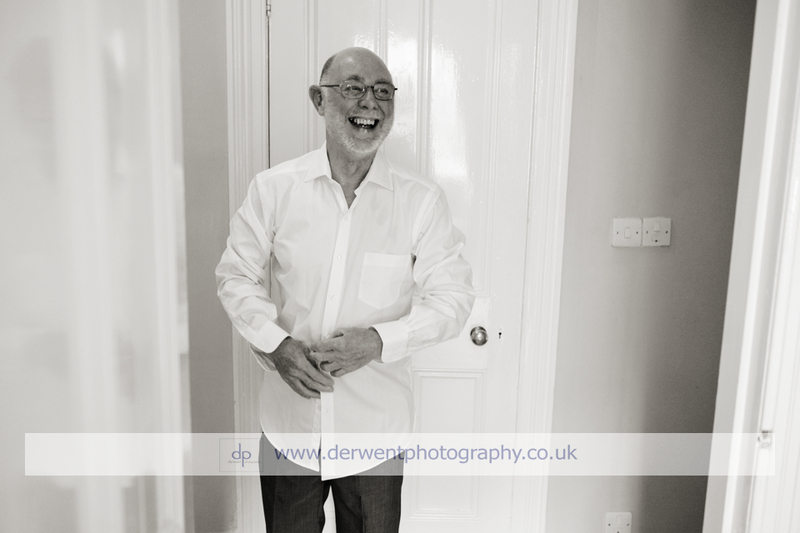 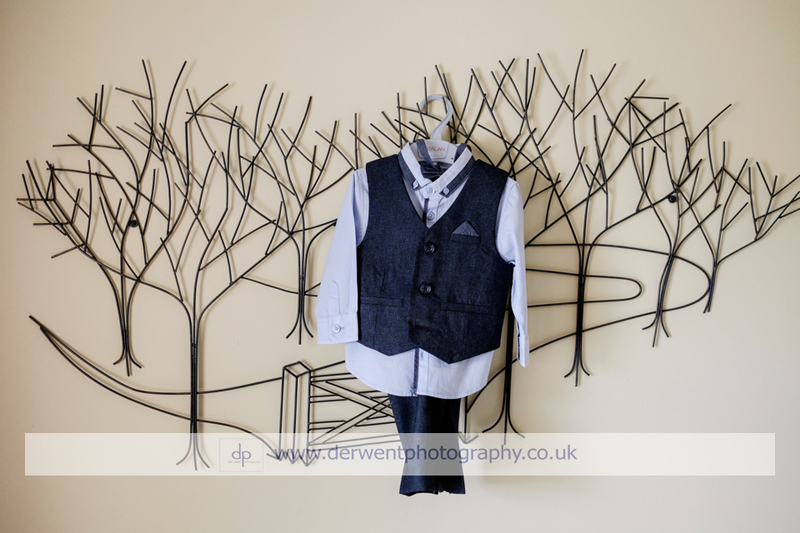 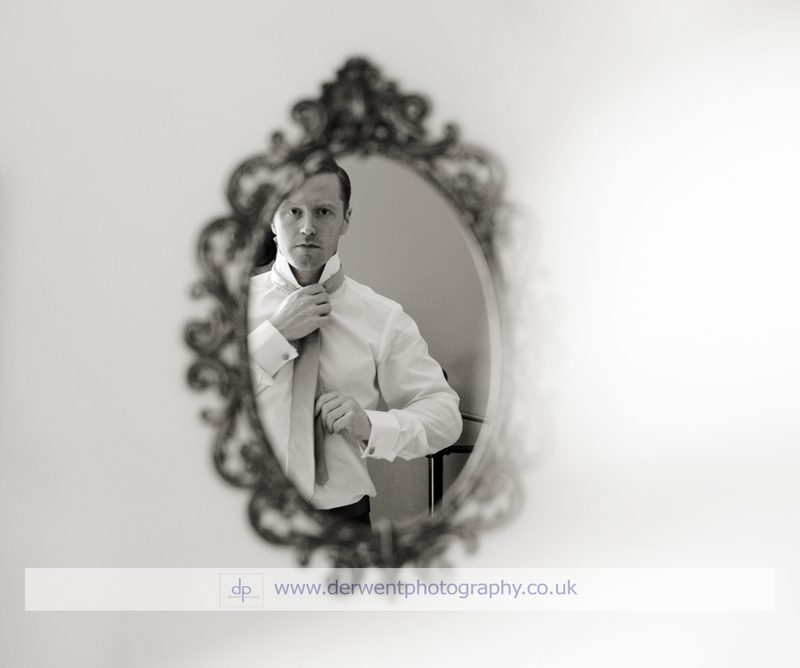 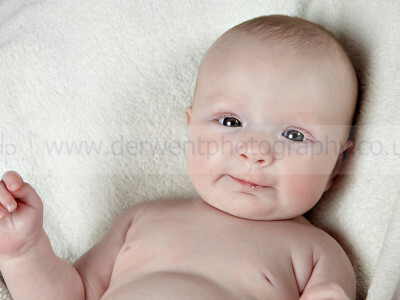 After this, I whisked the bride and groom away for their private contemporary shoot. 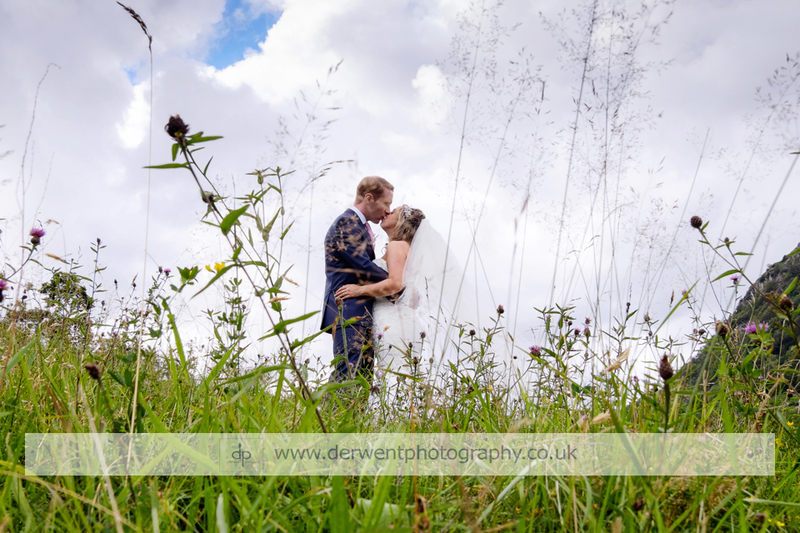 The ground and surrounds of Cote How are spectacular, I very much enjoyed utilising the landscape to get the best photos I could for Angela and John. 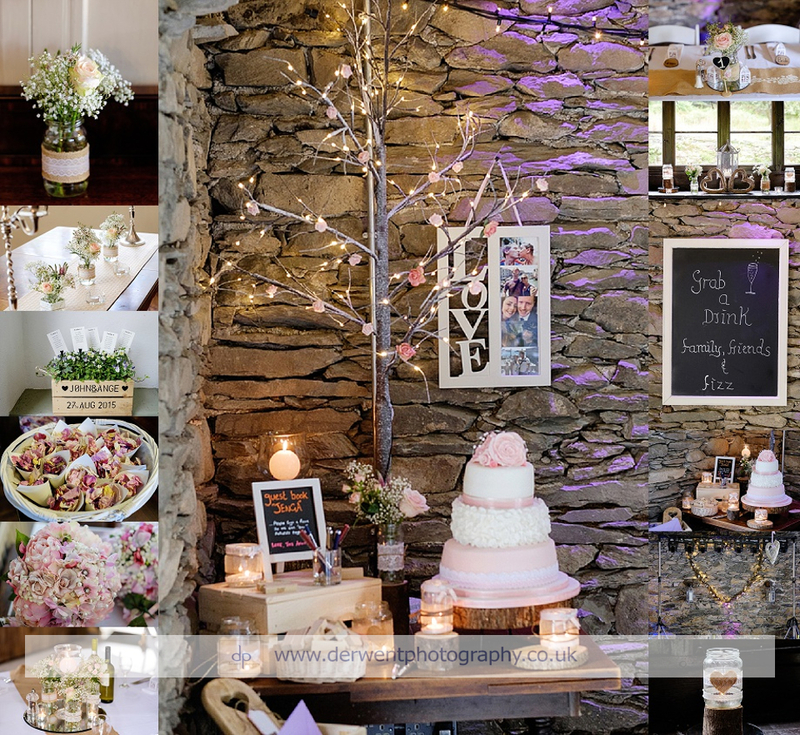 The bride, groom and their guests then retired to the beautifully decorated barn for the wedding breakfast and speeches. 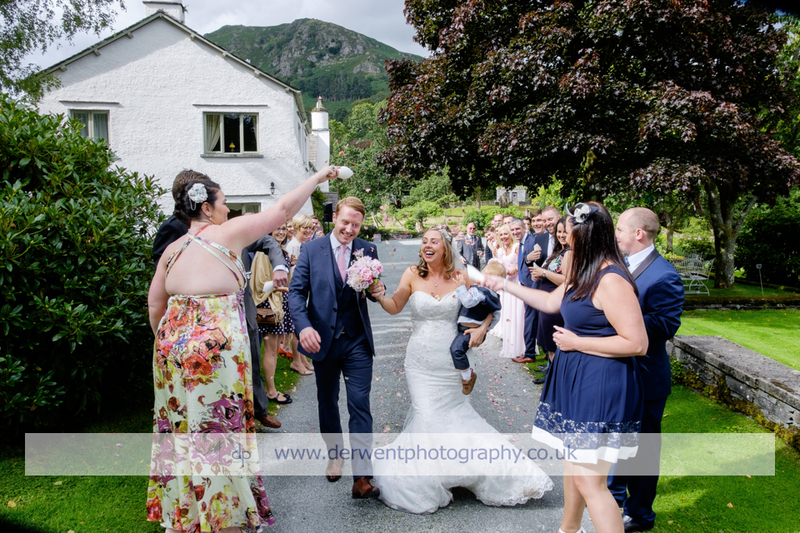 The meal was catered for brilliantly by Karen of Greens Bistro in Grasmere and later on Alex entertained guests as they danced the night away! 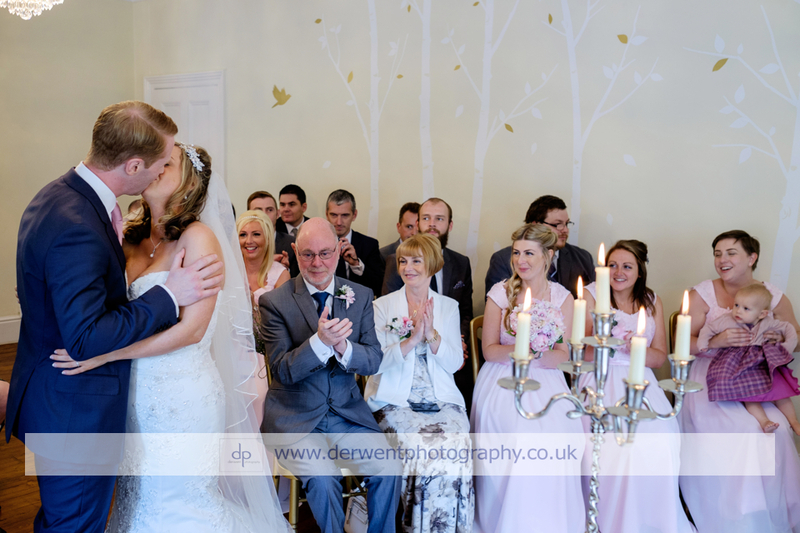 Congratulations to Angela and John for creating a fantastic wedding, full of everlasting memories for themselves and their guests… It was a wonderful day!